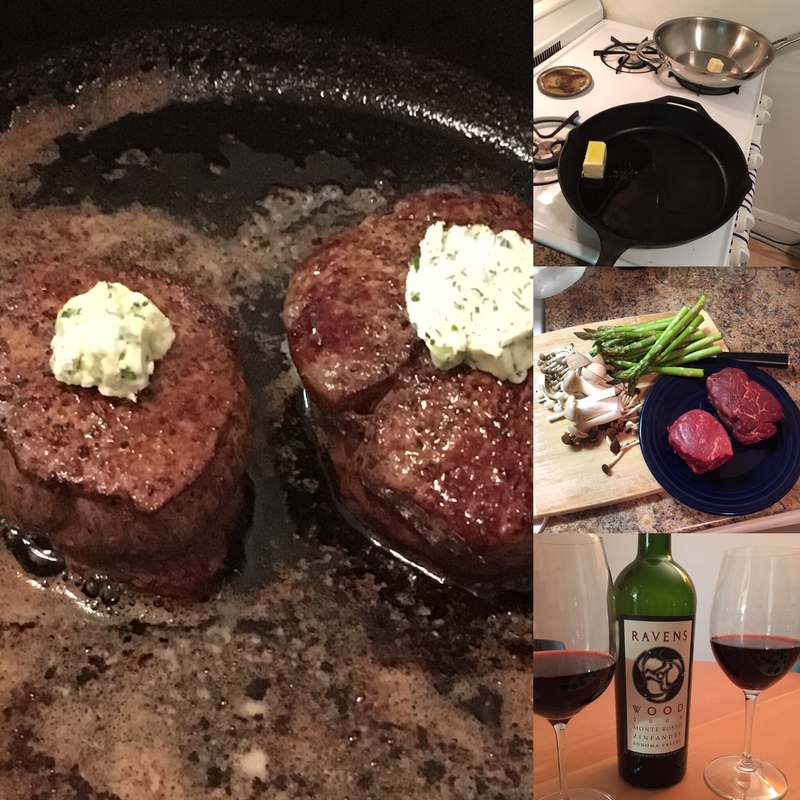 This Valentine’s Day weekend we treated ourselves to a fancy dinner at home: pan-seared filet mignon with herbed butter, potatoes gratin, and an asparagus mushroom medley…sautéed in more butter. 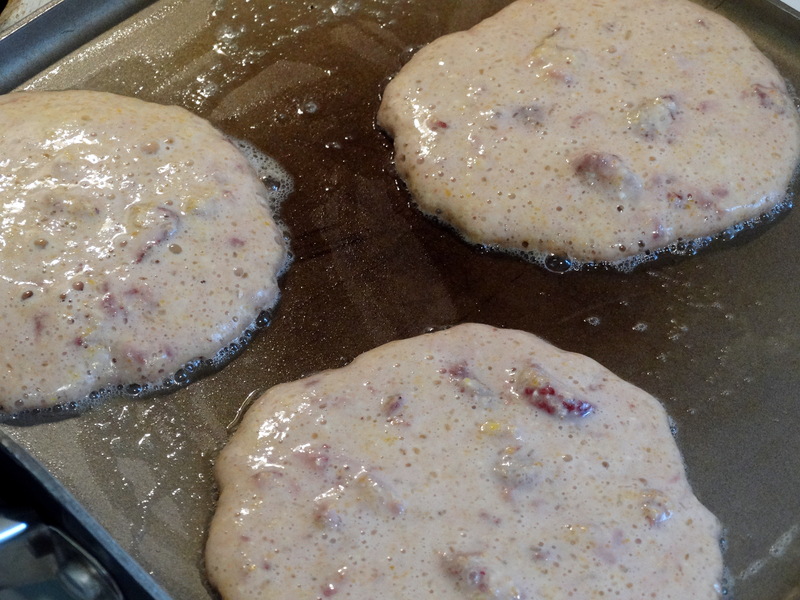 The next morning I thought I’d keep us on the saturated fat train, so I cooked pancakes and bacon. What are pancakes, after all, if not a vehicle to get butter to your mouth?! I wish I could take credit for making this meal, but Evan did most of the work. I just took the pictures and ate. 🙂 To accompany our meal, we opened a bottle of wine we’ve been saving since our first vacation together (a trip to northern California back in 2008). It was sublime. Even though we were still digesting the next morning, an old recipe from my favorite food blog, Smitten Kitchen, popped up on my Facebook feed and I knew I had to make it. After taking a quick look in the pantry to see if I had the necessary ingredients on hand, I decided to whip us together some breakfast! Pull together your ingredients: flour, cornmeal, sugar, baking powder, baking soda, salt, butter, milk, eggs, and strawberries. 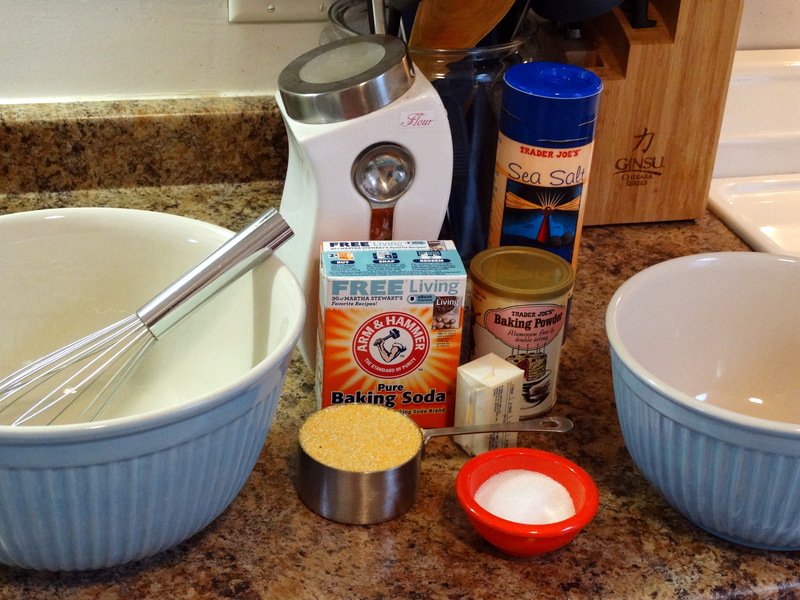 Add 3/4 cup all-purpose flour, 3/4 cup cornmeal, 2 tablespoons granulated sugar, 1/2 teaspoon baking powder, 1/2 teaspoon baking soda, and 1/2 teaspoon salt to a large mixing bowl. Whisk to combine. Melt 3 tablespoons butter and add it to a medium mixing bowl. Whisk in 1 cup milk (I used half and half because it was what I had on hand). One at a time, whisk in two eggs, then stir in 1 cup chopped strawberries. If you don’t have fresh strawberries, thawed frozen strawberries will work fine. 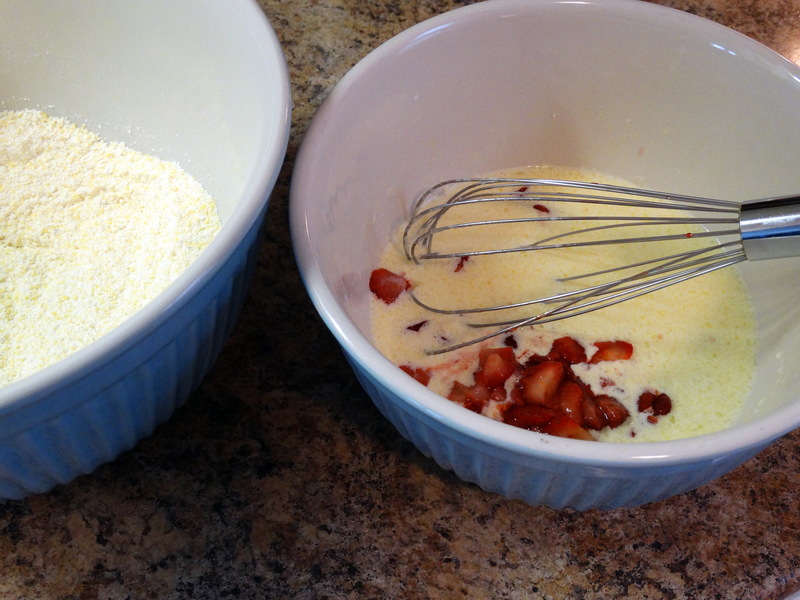 Pour the strawberry mixture into the dry ingredients bowl, stirring to combine. 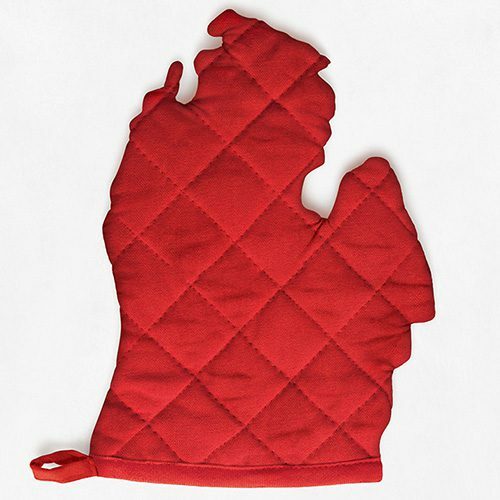 Heat a griddle pan over medium with a healthy pat of butter. When hot, use a 1/4 cup of batter for each pancake. Cook until the tops are bubbling and the edges are starting to firm up, then flip to cook the other side. Repeat until batter is gone. If the butter starts to burn, reduce the heat a bit. Viola! 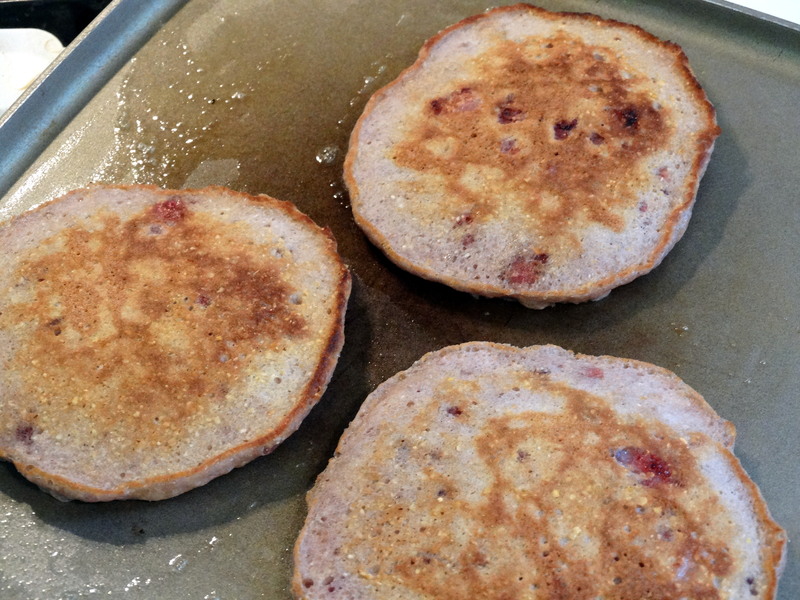 These delicious pancakes are both sweet and crunchy. Top with BUTTER and syrup. Enjoy! 1) Add 3/4 cup all-purpose flour, 3/4 cup cornmeal, 2 tablespoons granulated sugar, 1/2 teaspoon baking powder, 1/2 teaspoon baking soda, and 1/2 teaspoon salt to a large mixing bowl. Whisk to combine. 2) Melt 3 tablespoons butter and add it to a medium mixing bowl. 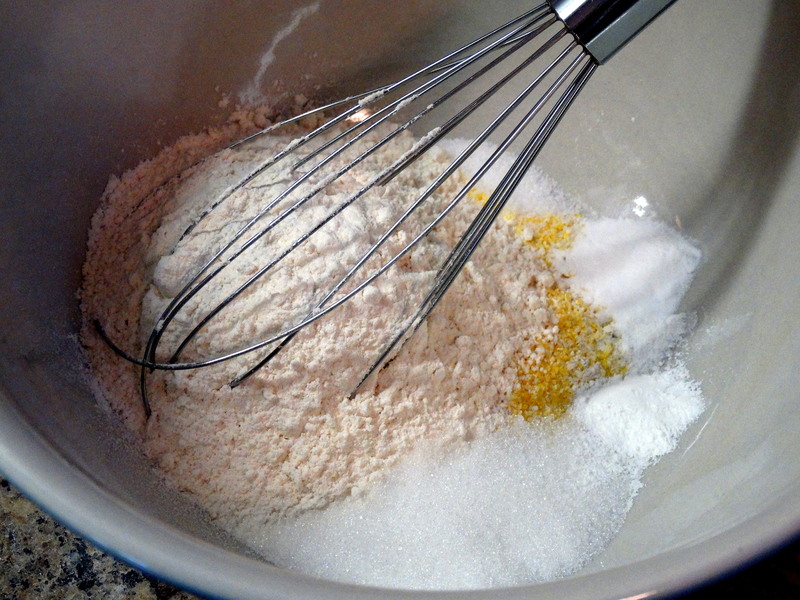 Whisk in 1 cup milk. 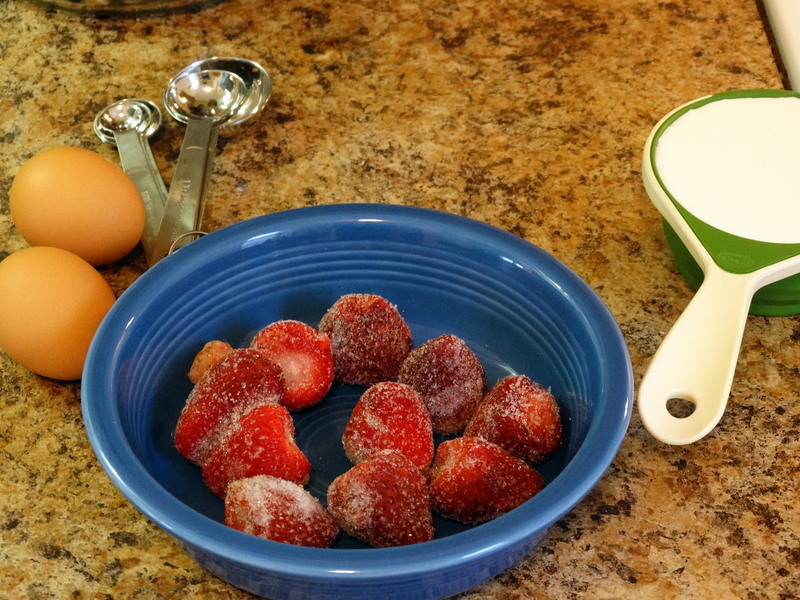 One at a time, whisk in two eggs, then stir in 1 cup chopped strawberries. 3) Heat a griddle pan over medium with a healthy pat of butter. When hot, use a 1/4 cup of batter for each pancake. Cook until the tops are bubbling and the edges are starting to firm up, then flip to cook the other side. Repeat until batter is gone. If the butter starts to burn, reduce the heat a bit. Serve topped with butter and syrup. Enjoy!